Just as fair warning, I am going to be out of the country until mid-January, so those of you who were thinking of buying anything through the store I won’t be able to ship it out until I get back. Email I will answer as I am able. Speaking of, the store’s going to get a little bit of an overhaul in the new year — with more things available than there are currently, bringing it more in line with what I sell at shows. I’m hoping to get a chance to work on it a little bit before I head back to work. 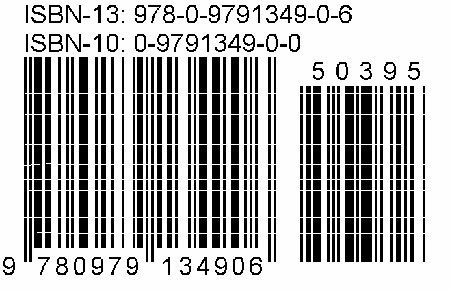 So my partner and I spent a bit of time on the weekend stickering copies of SHIRTLIFTER #1 with barcodes containing its brand new ISBN number. Stupidly, I hadn’t thought to do this before it was printed, simply because its a floppy comic book, and floppy comic books generally don’t need such things. However, places that distribute floppy comics books — these days, that means Diamond Comics — haven’t been interested in carrying the book. However, Bookazine, a national magazine and book distributer with a particularly good reach into Gay and Lesbian bookstores, IS interested in carrying the book. I just shipped off 500 copies to their New Jersey HQ. Its encouraging that they’re taking it — they are the American distributor for STICKY, and that book is pretty much down to the remainder of its initial 3000 copy printing. That’s encouraging to hear, and hopefully what that will mean is that those interested in getting a copy through their local bookstore should be able to do so. Moreover, if most of them sell, it is likely that Bookazine will take a similar or greater number of number 2, which I’m hoping to have out in the summer. Which would make me more likely to continue the series past number 2 and not quit drawing comics altogether. Which I’ve been tempted to do numerous times this year, even though its been the most productive year I’ve ever had. Let’s just say I don’t always deal with frustration well, and comics, love them though I do, can be a maddeningly frustrating industry. Anyway, basically I’ve figured out what most other small publishers have already figured out, which is that bookstores are friendly to independent comics, comic book shops less so. So SHIRTLIFTER is going to wind up less frequent than originally planned, but each issue will thicker, perfect bound, and have a second color, similar to the coloring I did on the individual issues of STICKY. I figure if the book market is a more friendly environment for me, then why not make books? This Saturday I will be returning for my second year at the Los Angeles iteration of Bazaar Bizarre. BazBiz is an alternative craft fair started by Greg Der Ananian in Boston six years ago, and which now has four locations around the country. “This ain’t your granny’s craft show” is one way that the show has been described, but its more about reinterpretation and reclamation than it is about rejection. There’s lots of goodies to be had — there’s a high amount of homemade jewelry and clothing, but lots of other things going on as well. As for me, in addition to the decidely non-crafty things such as books and comics, I will have my usually assortment of greeting cards (including a few new ones); my infamous “Well Hung” Christmas ornaments (some repeating from lst year, in addition to a couple new ones), art prints, and a few hand painted t-shirts. Fun starts at 11 AM and runs until 7 PM. Note: the LA show is pretty popular, and the ATM ran out of cash last year, so I would be prepared.